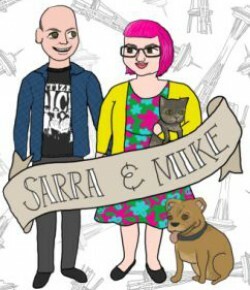 ← Vegan MoFo, Day 12 – Tell us about your favourite cookbook! 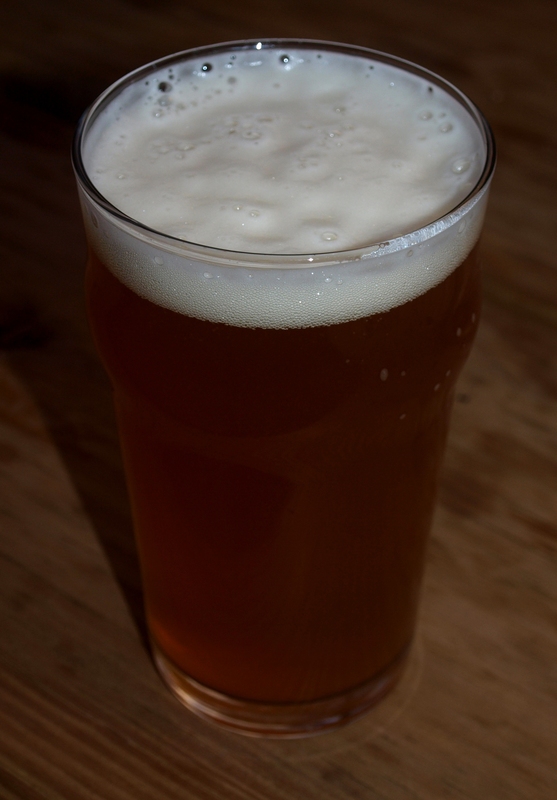 Lucky enough for us, we have a new brewpub in our neighborhood, Hellbent Brewing. Not too long after they opened, I sent an electronic mail message to the fine folks at Hellbent, and they informed me that they do not use any animal products in the production of their beer. Score! They have a beautiful outdoor seating area, and they have food trucks every night of the week. 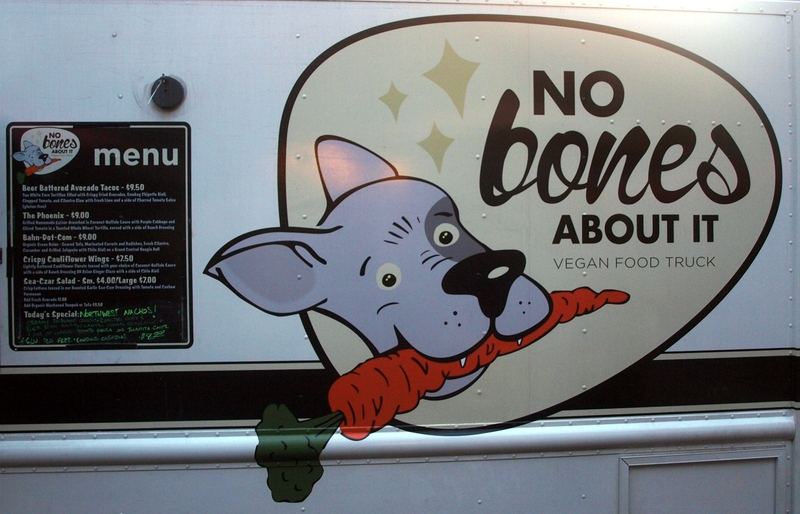 Monday is a lucky night for vegans, for on Mondays, the No Bones About It truck stops in for a visit. How can you not love that logo? No Bones, in addition to having the best name ever for a vegan food establishment, cranks out some of the best vegan food you’ve ever sunk your teeth into. We love them so much, we hired them to cater our wedding, which is coming up this weekend! As an appetizer, they serve up an amazing fried cauliflower “wing”. You get your choice of either buffalo sauce or an Asian sesame glaze. I have to tell you, its hard for us to decide. I mean, really – do you go with the beautiful sting of a blazing buffalo sauce or the delicious, cooling bite of a sweet sesame sauce? They’re both amazing, and we’ve had them a lot! Since chickens like to keep their wings, we prefer to eat cauliflower wings! They also regularly feature the Sea-Czar salad, a cruelty-free take on the classic Caesar salad. Romaine lettuce, Parmesan “cheese”, tomatoes, and red cabbage all dressed up in a perfectly briny, garlicky Caesar dressing. 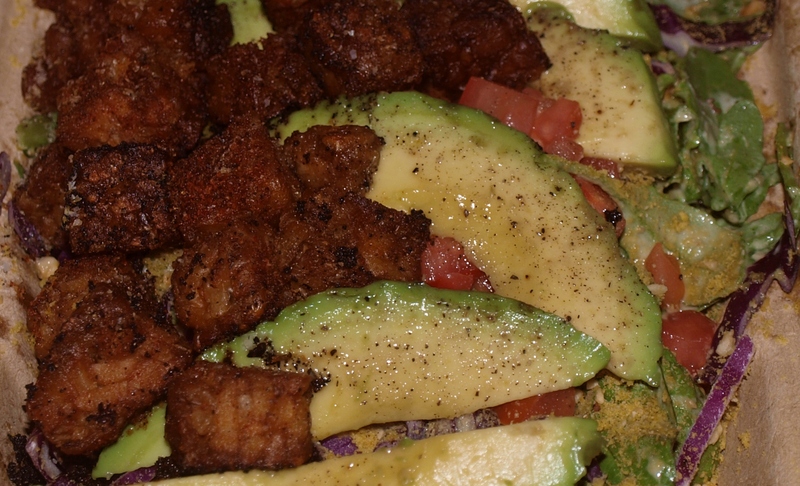 They’ll also add avocado, blackened tempeh, or tofu to the mix – we like it with avocado AND tempeh. I can’t believe we like a salad as much as we like this one! 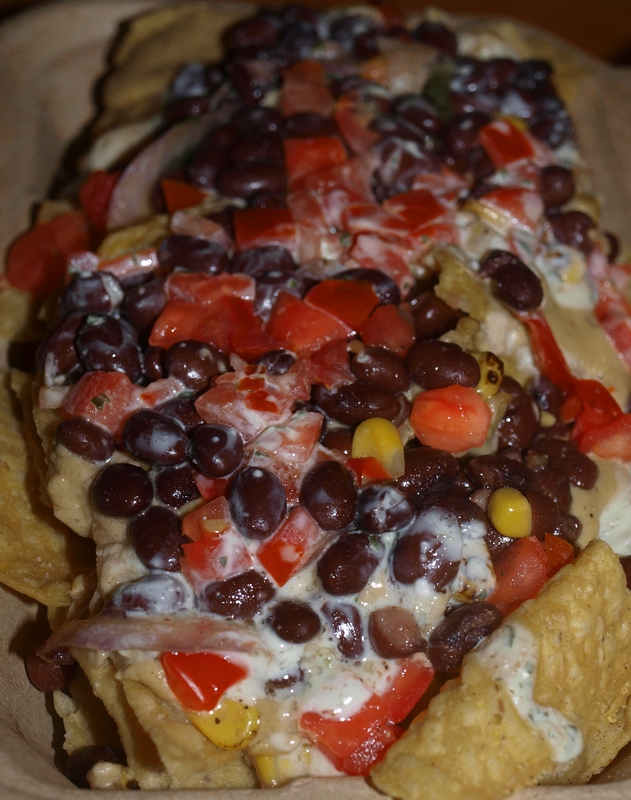 The special last night was Northwest Nachos, a regular addition to their menu. Nachos, smothered in poblano queso (cashew based! ), cilantro crema, black bean and corn salsa, and roasted tomato salsa. It’s so good it will make your head spin. Seriously. These nachos go on forever, and we’re glad they do! 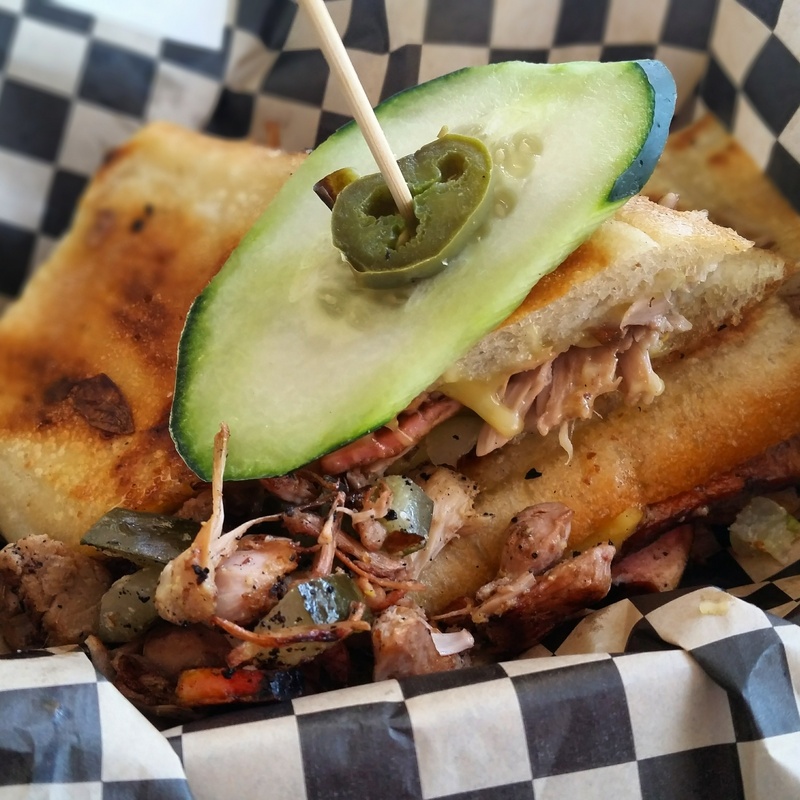 A few months ago, they did a Cuban sandwich as a short run special. We really, really hope this one comes back: tofu ham and jackfruit carnitas on a toasted hoagie roll with pickles and chao cheese. Holy carp! I’m thinking that we might have missed out by not writing that one up as the “best sandwich ever” last week. It looked so much like meat, it freaked me out a little. Let’s not forget the reason this post started: beer. Although fewer and fewer animal products are being used in the production of beer, it’s good to know that I have a place to get a good vegan beer less than a mile from my house. Right now, they have an oatmeal pale ale that blew my mind a little. Deep amber color, a beautiful, frothy head, and just a hint of sweetness balancing the hop finish make this a beer to be savored. Recently, I’ve also tried their summer stout, a lighter-flavored stout available on a nitro tap, and the “Orange is the New White” Belgian witbier, flavored with spices and orange peel. I can’t wait to see what they come up with next! I didn’t think of taking the Obama’s on the town! I totally looked at my house wreck and wasn’t feeling the prompt so I just changed the guest I like your whirl wind tour especially the Northwest nachos! Obama will love it! I haven’t been able to get to No Bones yet in my Seattle adventures, hopefully next time. Wow, I can see why you’ve picked them as your caterer. What innovative, exciting food. The pub sounds great too. 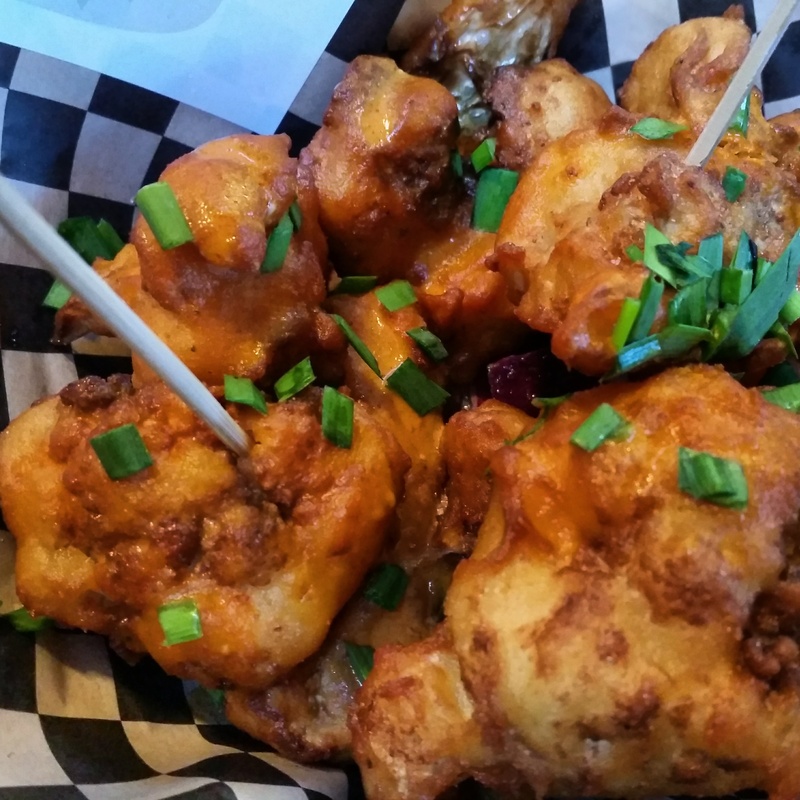 Elly has a recipe for vegan buffalo cauliflower wings from thug kitchen she loves. I’ve gotta try something like this. I hope you guys have a wonderful wedding this weekend! Lucky Obamas! What a feast.